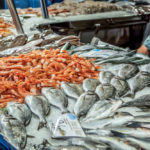 In many ways, the keto and Mediterranean diets go hand-in-hand. 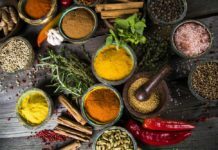 Both rely on whole foods and fresh, seasonal produce, and include plenty of heart-healthy fats and protein-rich ingredients. 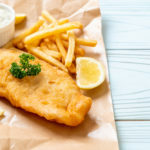 While the keto diet has a strict no-carb policy, both diets make ample use of seeds and nuts to complement their servings of fish, poultry and fresh vegetables. And since both diets see the value in certain natural dairy products, following this fusion diet means never having to say goodbye to rich cheese and creamy yogurt. Sounds like the ideal situation, wouldn’t you say? To give you a taste of what a typical keto-friendly, Mediterranean-inspired meal plan would look like, we’ve selected seven delicious recipes to get you through an entire week. With so much variety on the menu, we can almost guarantee this seven day meal plan will become a family staple. 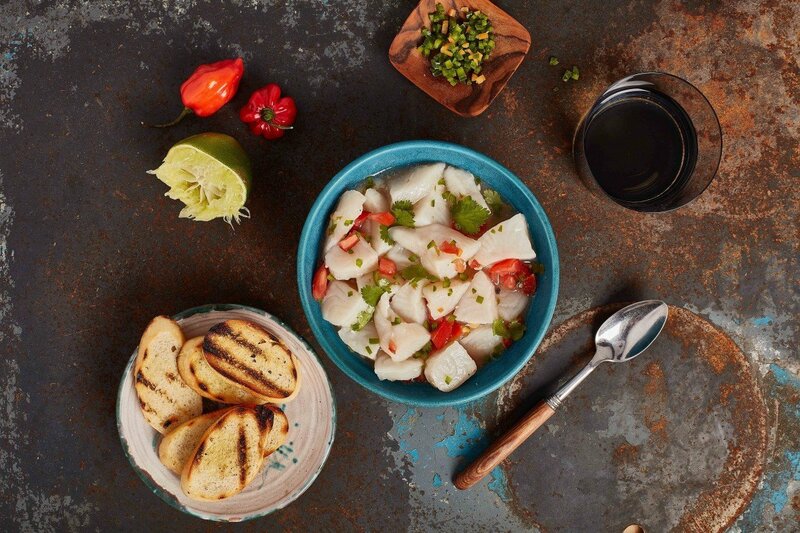 Kick off your week with this light Tilapia ceviche. The dish features fresh, colorful citrus ingredients, making it a perfect fall treat. 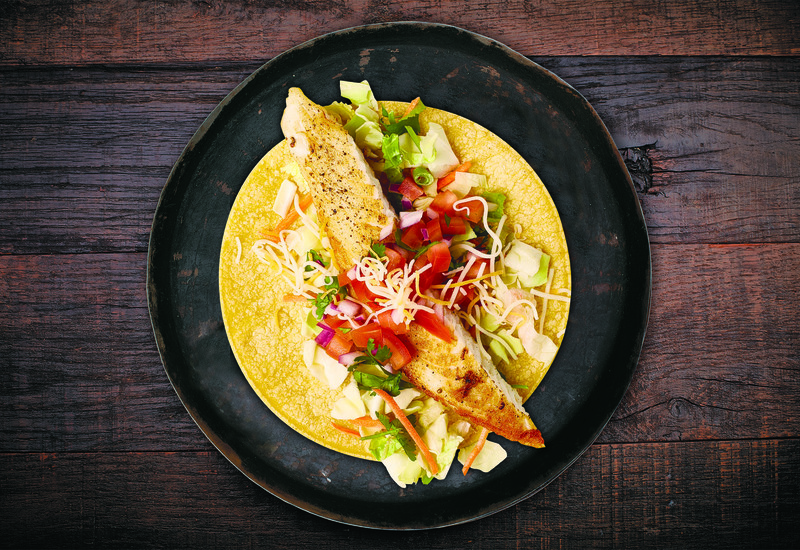 Plus, with its mild flavor, Tilapia is a fantastic choice for raw dishes like ceviche, as the fish provides a great source of protein while allowing the fresh flavors of lime and cilantro to take center stage. Add in some fresh avocado for a boost of good fats, too. 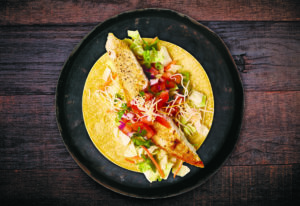 Try the recipe: Tilapia Ceviche from Regal Springs. Simple grilled zucchini boats topped with feta and tomato mixture hit all the right notes. Taking less than 15 minutes to make, this dish includes an array of Mediterranean staples like olive oil, tomatoes, onions, feta and lemon juice. The zucchini can be cooked in the oven, but if the night is mild, why not throw them on the barbecue and lock in some of that fire-roasted flavor? 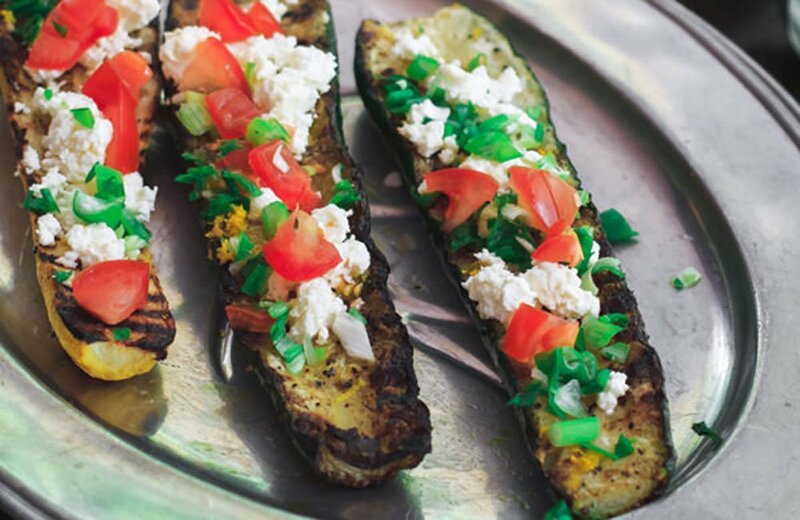 Try the recipe: Mediterranean Grilled Zucchini Boats with Tomato and Feta from The Mediterranean Dish. 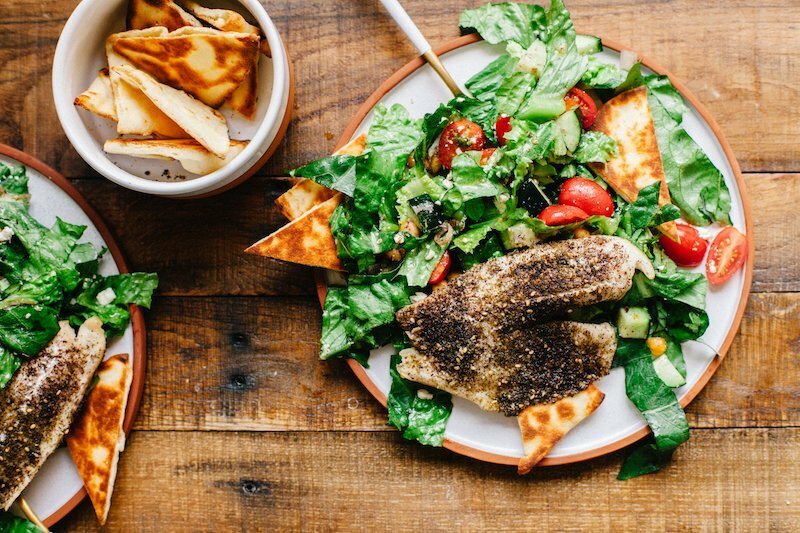 Originating in Lebanon, this dish features a zesty dressing alongside all the usual suspects present in a classic fattoush salad. We’re talking feta cheese, tomatoes, cucumber and fresh greens. To make this one keto-friendly, you’ll need to forego the pita rounds, or try your hand at baking your own low carb bread substitute made with almond flour, coconut flour or—even better—cauliflower. 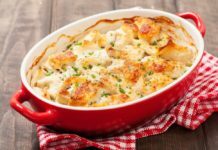 Cauliflower is rich in vitamins A and K, so it makes for a nutrient-rich alternative that’s a hit in the flavor department too. 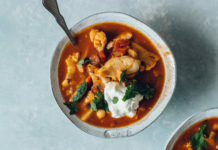 Similarly, you’ll need to exclude the chickpeas, but you can easily sub in some almonds or walnuts for a little crunch. 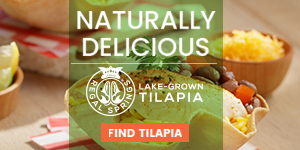 Try the recipe: Tilapia Fattoush Salad from The Healthy Fish. 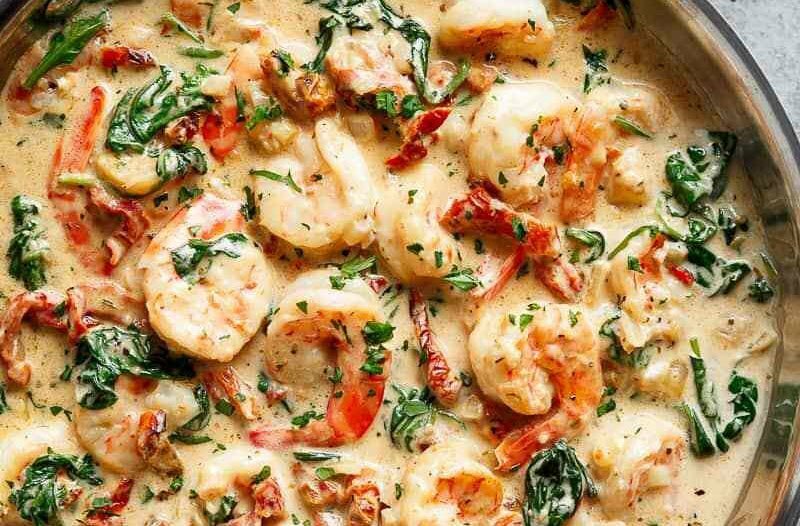 For something a little indulgent, give this creamy shrimp dish a whirl. 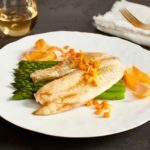 To keep the recipe in line with keto’s no carb policy you will need to sub out the suggested bed of pasta or rice, but feel free to pair with steamed, non-starchy vegetables. Try the recipe: Creamy Garlic Butter Tuscan Shrimp from Cafe Delites. 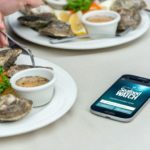 Who doesn’t love having breakfast for dinner? Mix things up with this decadent, baked egg dish from North Africa. Eggs are super rich in protein, and therefore fit easily within both Mediterranean and keto diet parameters. Squash is also in abundance this time of year, so it makes for a hearty addition. Keep in mind though that delicata squash does contain some carbs, so be mindful of portion sizes to keep within your keto parameters. 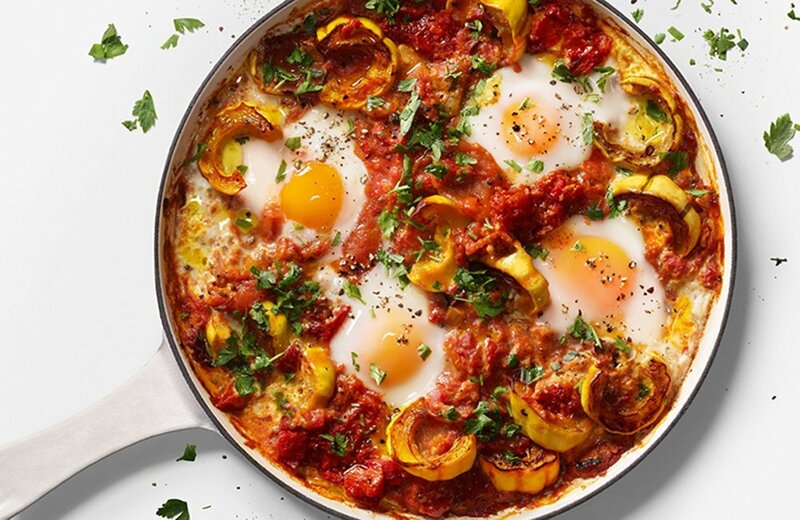 Try the recipe: Shakshuka from Makes Me Whole. 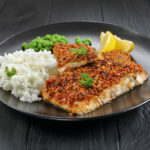 This recipe calls for Tilapia to be breaded with coconut and pecan shavings, accentuating the texture of the fish. 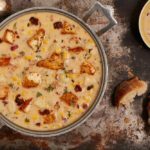 Coconut and pecans are favorites of the keto diet due to their high fat/low carb content and various nutritional perks, so this dish is a winner no matter which way you slice it. 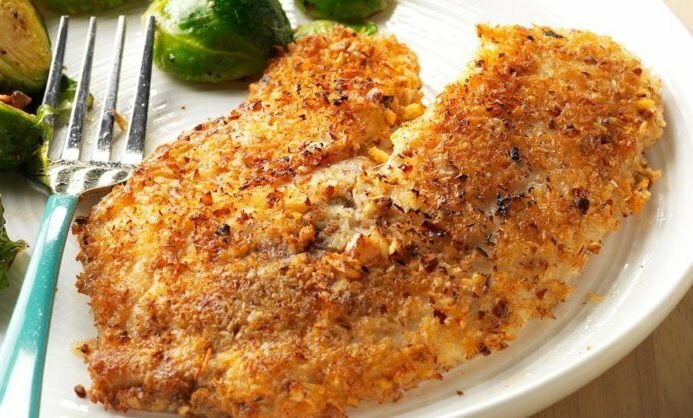 Try the recipe: Pecan-Coconut Crusted Tilapia from Taste of Home. Combining crunchy spiralized zucchini, tomato, garlic, basil and parmesan cheese leads to a tasty Sunday evening dinner. Zucchini noodles are a great, carb-free alternative to traditional wheat pasta, but be sure to follow exact instructions when cooking the noodles to ensure you get the texture just right. 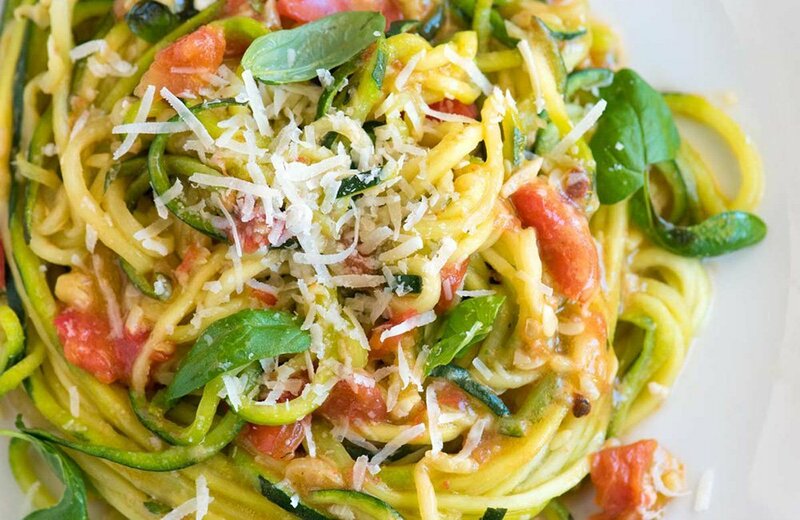 Try the recipe: Garlic Parmesan Zucchini Noodles from Inspired Taste. 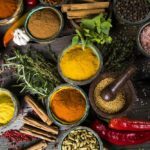 Suffice it to say, combining keto and Mediterranean eating styles to build a heart-healthy protein-rich diet will leave you feeling healthy and satisfied. 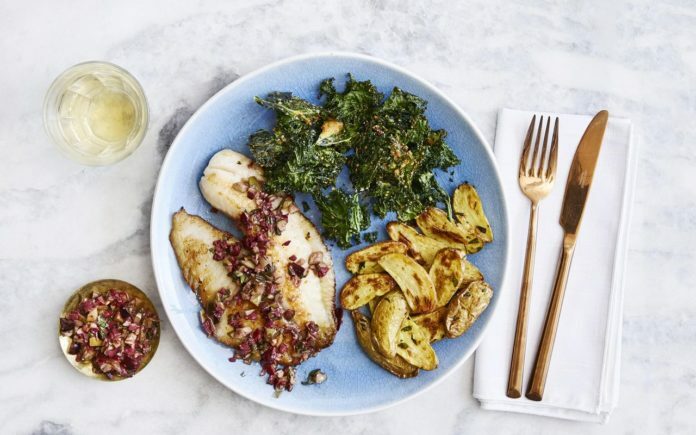 Most of these recipes are also able to be prepped in advance, so why not spend this Sunday prepping your kitchen for a whole week of delicious, guilt-free recipes? 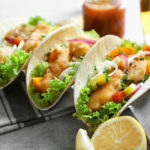 With great flavors and good health all in one place, we’re sure these recipes will become family favorites. 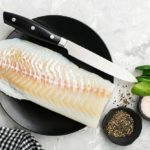 Learn more about the good fats featured in keto and Mediterranean diets in A Quick Guide to Dietary Fats (and How to Eat More of the Good Kind).